Recent "discoveries" have brought attention to photographers unrecognized in their own time including Irwin Denison Norling, Louis H. Draper and - most notably - Vivian Maier. It is the mid-20th century Colombian portrait photographer José Marulanda, however, who has most literally been pulled from the dustbin of history. 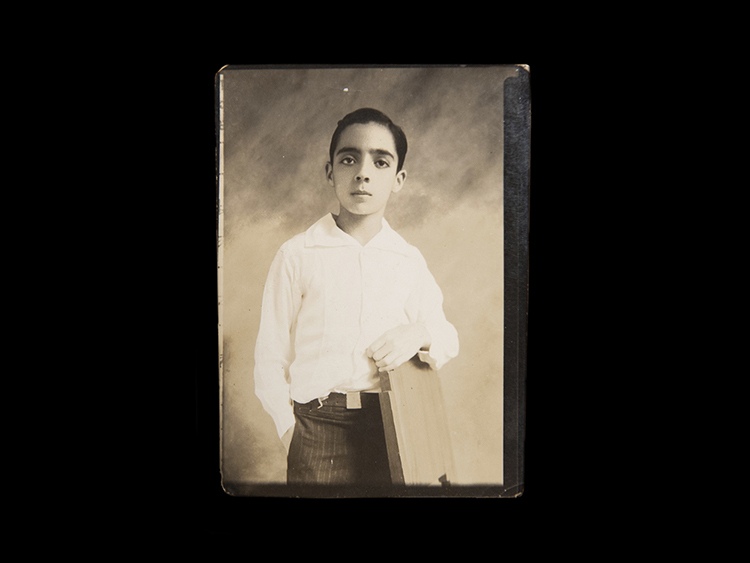 The remarkable story of Marulanda's photographs begins with the artist and antique toy collector Rafael Castaño. He and his family own a warehouse in La Bayadera, a sector of car repair shops, industrial supply stores and budget corner restaurants south of central Medellín. The skylights over the area where Castaño works inside the warehouse illuminate fantastical objects encroaching from all directions. Large metal dragonflies and flying machine prototypes hang from the ceiling. The bust of a wizard and a monkey mask sit on a shelf. Cats wind between stacks of yellowed magazines and statuettes filling his desk. Castaño has collected objects his entire life and antique toys in particular for about 25 years. Medellín has a well-established informal system of recyclers who pick trash for metal, cardboard, and plastic as well as for other items that might have resale value. Castaño regularly visits the different transfer centers where the recyclers bring in what they find in hopes of discovering salvaged gems. About fifteen years ago, Castaño entered a transfer center in downtown Medellín – he doesn't remember exactly which one anymore - and saw an old metal cookie tin packed with photographs on the floor. 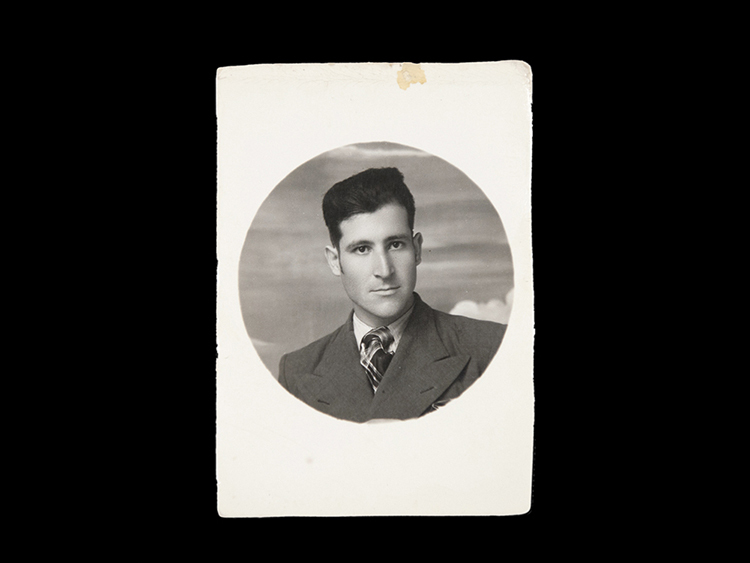 The images were all black and white studio portraits measuring 6 by 9 centimeters, slightly smaller than playing cards. Amazingly well preserved, especially considering how they were discovered, each print was stamped on the back with the name of the photographer: José Marulanda. 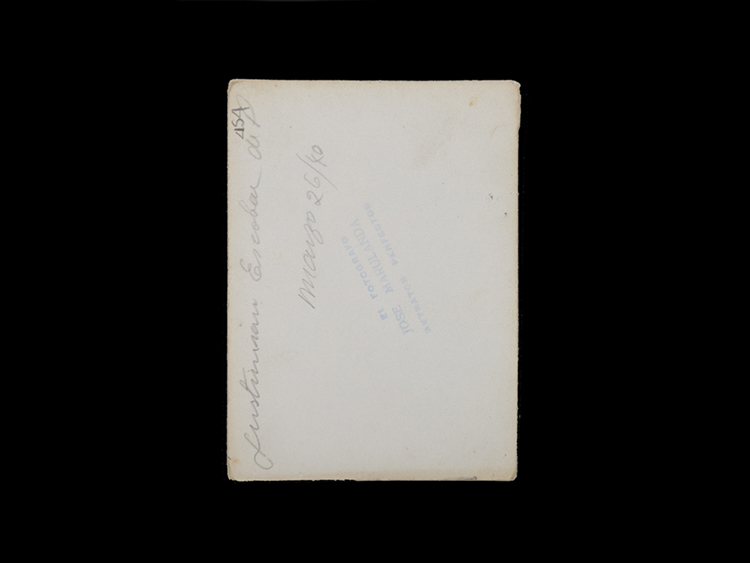 Also on the back of almost every image, both the name of the subject as well as the month and year of the image were recorded in cursive pencil handwriting. All of the images were from the 1940s. Castaño didn’t have the relatively small amount of money with him that the owner of the transfer center asked for the photographs. He came back the next day with the total - thankfully the photographs were still there. 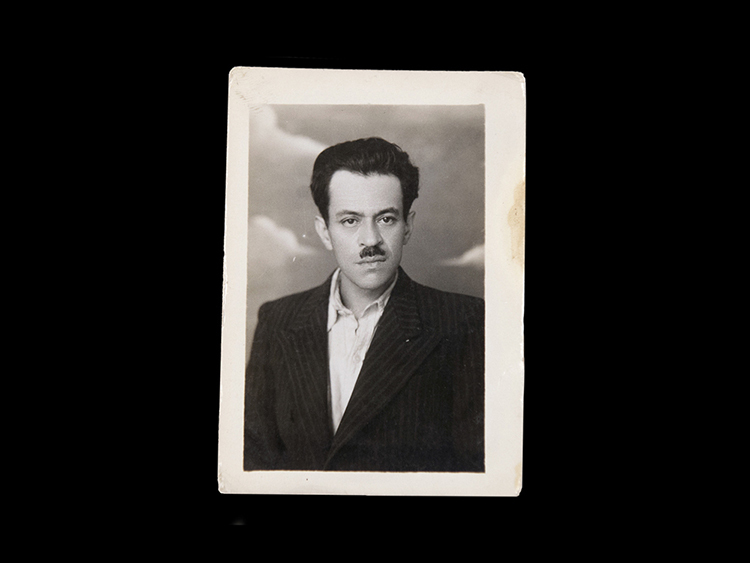 For over a decade, the tin of photographs passed between his warehouse and his home. His son pulled out images to practice drawing from them. Castaño flipped through them, fascinated with the faces and dress of the subjects. He occasionally showed people a few examples in hopes of finding out more about Marulanda. He looked people up with the same last name and pursued conversations with them. His interest in discovering more beyond the name on the back of the images, however, yielded nothing. In early 2011, Castaño tried again. 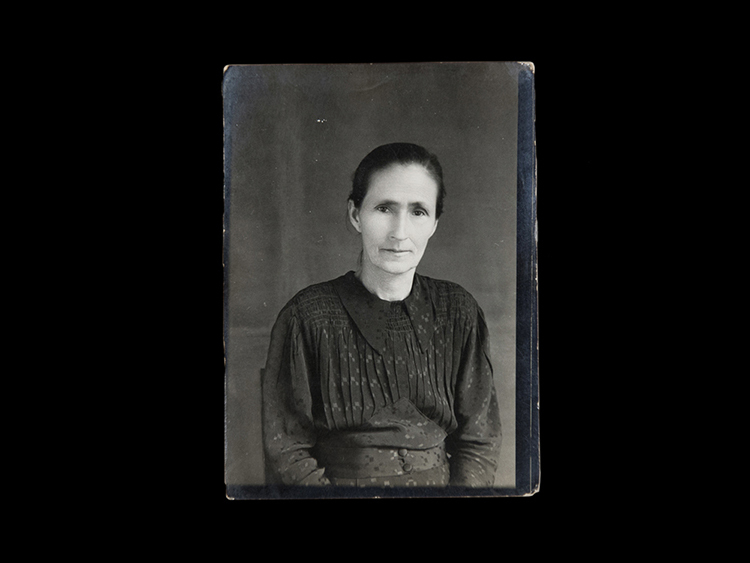 Now with access to the Internet, his search produced a single, short reference to Marulanda in an academic text on the history of photography in Antioquia - the "department" or state that includes Medellín - written by Santiago Londoño, a self-taught expert on the subject. Castaño got Londoño's phone number through a mutual acquaintance. 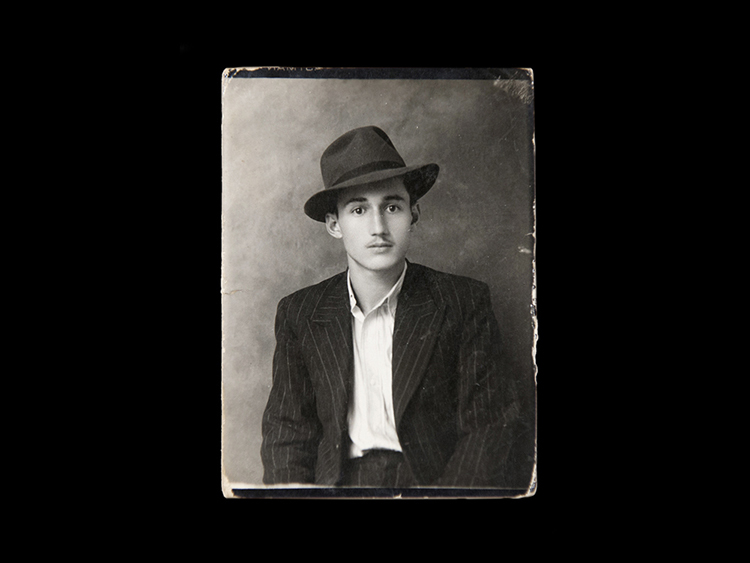 He called and told Londoño he'd like to show him some images he had in his possession by José Marulanda. Londoño was shocked. 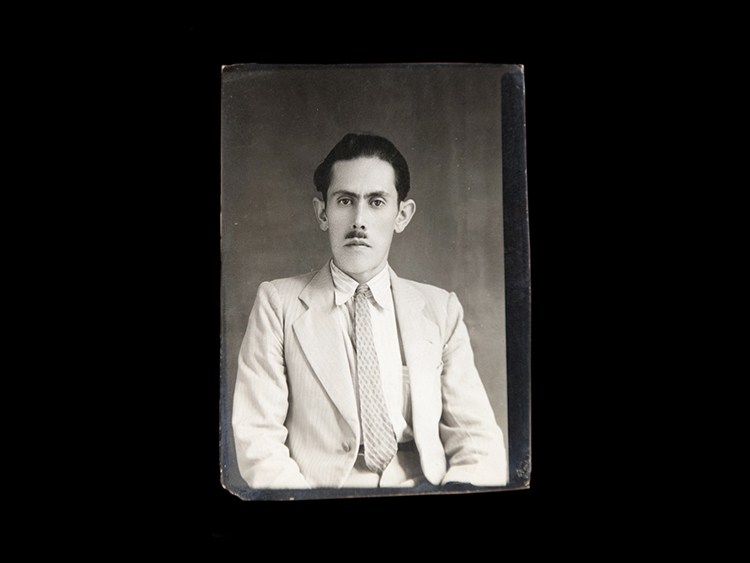 In his research, Londoño had established that beginning in 1925 Marulanda started working as a studio assistant for Benjamín de la Calle, one of the most recognized photographers in Colombia's history. 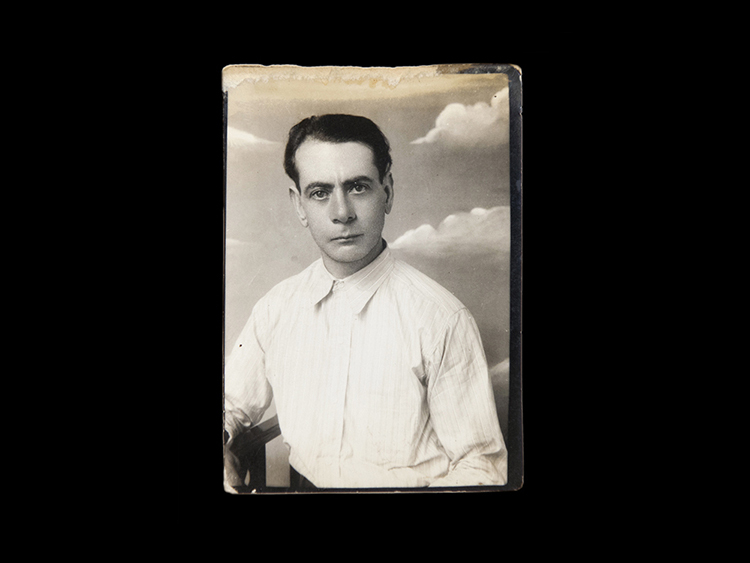 The two photographers also lived together in Medellín and are believed to have been lovers until de la Calle's death in 1934. 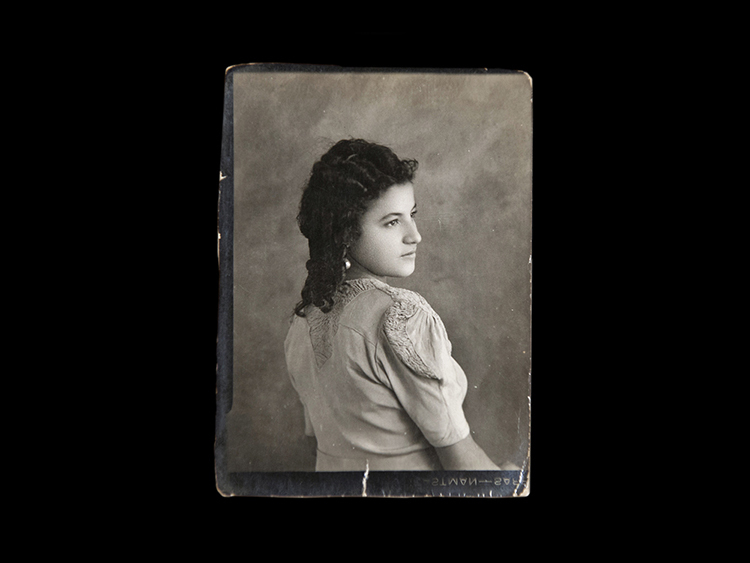 Marulanda, according to Londoño, inherited all of de la Calle's extraordinary glass negatives. 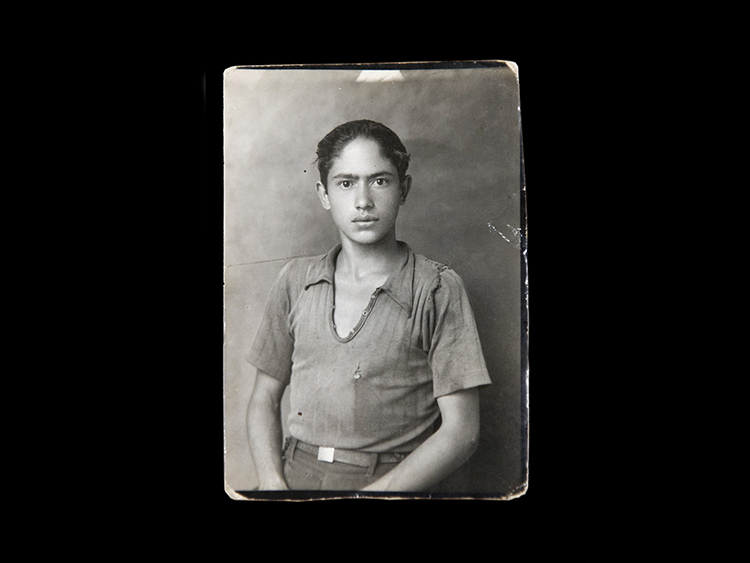 While Marulanda's relationship with de la Calle and his consequent role in the history of early Colombian photography was understood, his importance as a photographer remained undefined because not a single image made by Marulanda was known to have survived. Castaño met with Londoño first at a book presentation and signing of Londoño's to which Castaño brought a handful of images. Sufficiently impressed, Londoño visited Castaño's warehouse to review the full group of photographs with Patricia Londoño Vega (no relation), also an expert in local photography and a retired Professor of the University of Antioquia currently working as an independent investigator. The images inside the old metal cookie tin excited them both. The two experts confirmed Castaño had in his possession every single image made by Marulanda known to exist at that time. 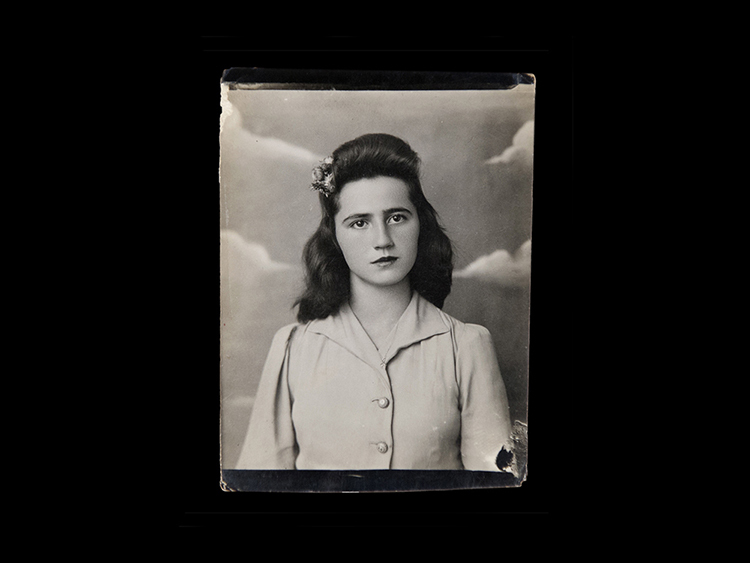 And Castaño didn't have just a few images – the tin rescued from the trash contained approximately 1,250 photographs, over 1,100 of them with both the subject identified and the year noted. Santiago Londoño cites the use of lighting, tonal range, and the sharpness of the images – abilities learned under the master de la Calle – as part of the reason the images impressed him. 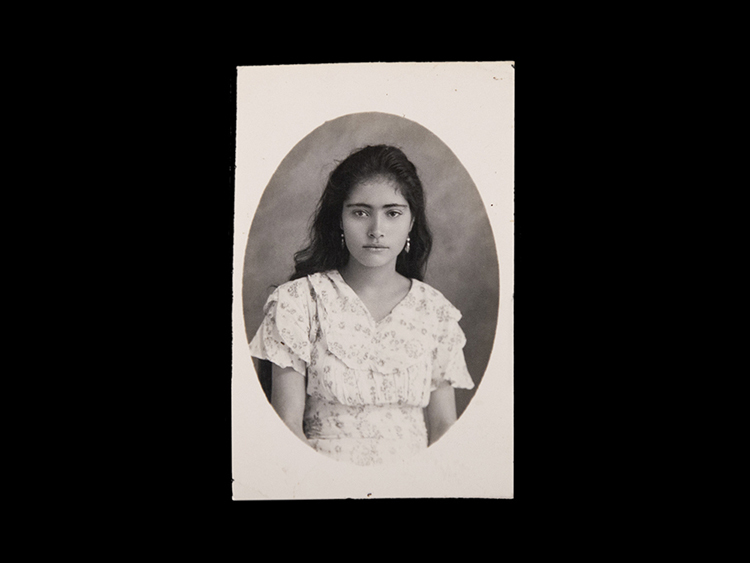 In addition to their aesthetic qualities, however, Marulanda's photographs have particular importance as social documentation, Lodoño said. 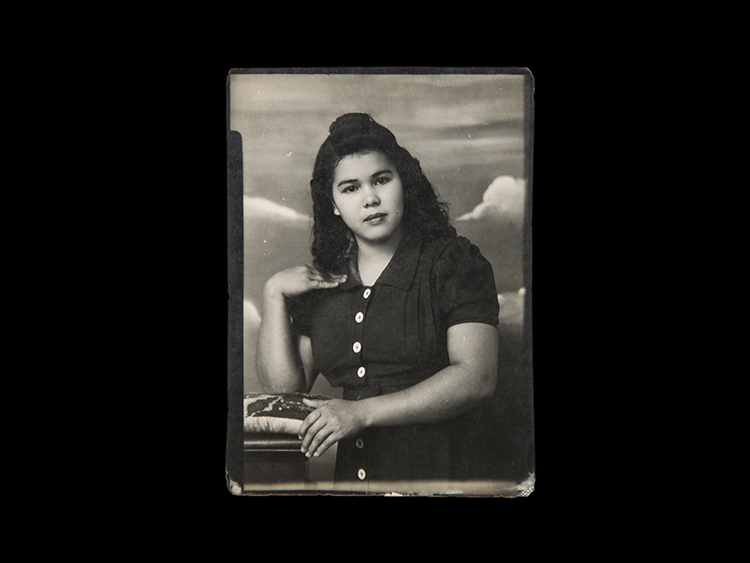 The images include men, women, children, and couples; subjects represent all ages and come from across the racial spectrum of Colombia. 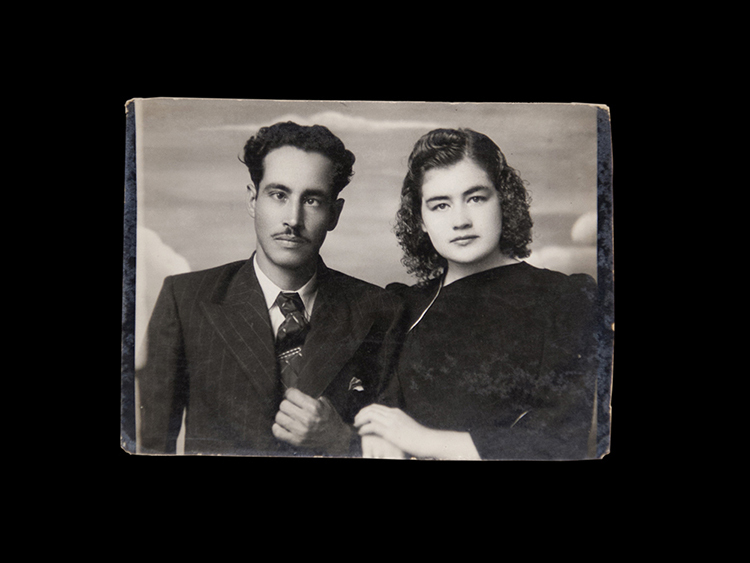 Based on clothing and the limited studio elements that appear, the subjects come almost exclusively from the middle and lower classes of 1940s Medellín according to both Londoños. "There's a complete typology of Medellín's ordinary people," Santiago Londoño said. "From the 40s we haven't had enough documentation to say, look, these were the Antioquians of that era. In the 40s there are many images of great buildings, but these photos are of the 'pueblo,' the common people, of high quality and without pretensions, but with an aesthetic sensibility behind them in my opinion." 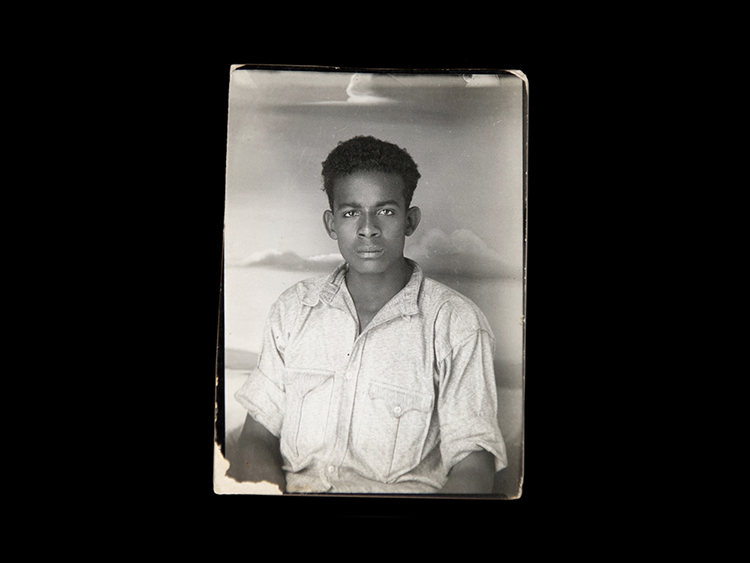 This wide range of ordinary citizens provides a broad survey of the material culture and social trends of their era and standing, providing an index of popular haircuts, jewelry, dresses, facial hairstyles, and hats. Some subjects wear the typical ruana – a heavy, woolen garment similar to a poncho - typical of the Colombian countryside pueblo. There are pin-stripe suits. Police officers in bowties. Dark pleated dresses are common. While the images provide a rich history of local culture and style, Marulanda's photographs go beyond these outward elements. "They are people of humble circumstances," Patricia Londoño said, "but all of them are presented with an air of dignity, of valorization. He knew how to present a sense of human dignity in his subjects." 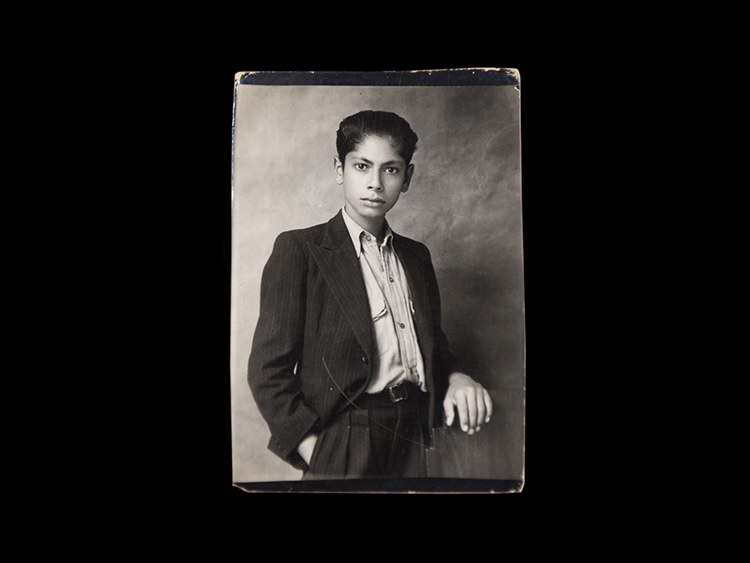 Marulanda photographed his sitters against a limited number of backgrounds in a narrow range of poses. The range varies enough to keep the images visually interesting enough as a body of images to be considered – outside of their original context and intention – as a body of artistic work. 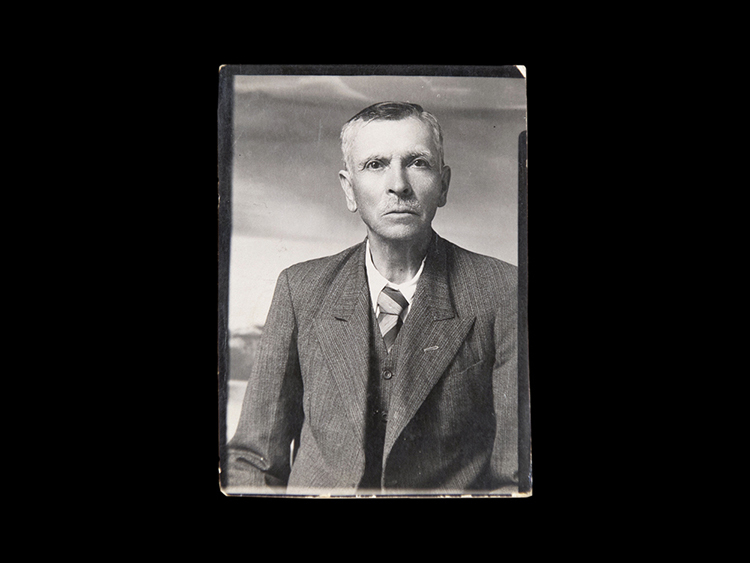 Still, repetition of pose is a dominant feature of the photographs. Couples always interlock arms. Men in suits get cut off at the midsection. Children frequently have their left hand resting on a chair. A number of women have a "Walk Like an Egyptian" hand gesture inverted in towards them. 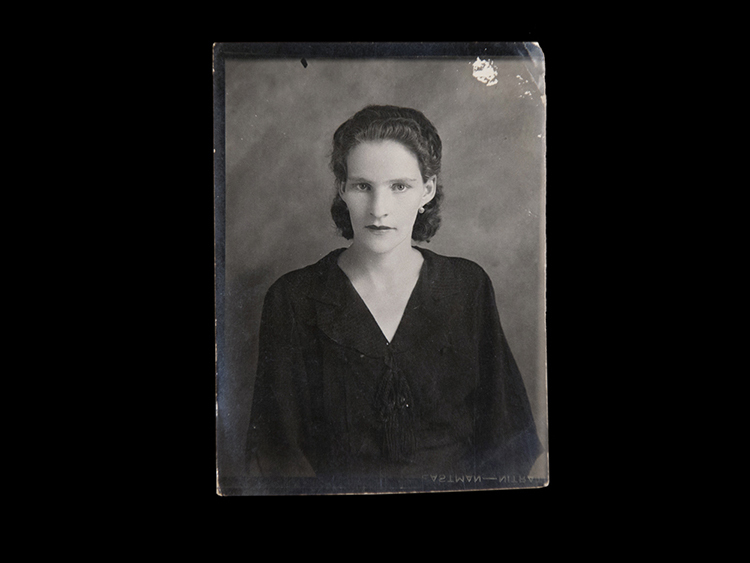 The range of poses is narrow enough that coming across an image that strays far from that range – such as the portrait of a young woman facing to the side and giving most of her back to the camera - is visually jolting. The consistency of pose creates a sort of typology when they are organized together. Looking at dozens of images with the same gesture and the photograph framed identically places our attention on the only shifting variable - the subjects themselves. The Biblioteca Luis Ángel Arango in Bogotá, which oversees a large collection of Colombian historical images and documents owned by Banco de la Republica de Colombia, believed the images to be important enough to buy them all from Castaño - except for a small number which he has kept as a memento of the experience - in August 2011 when he approached the library about a sale in order to get the photographs into a publicly accessible collection. 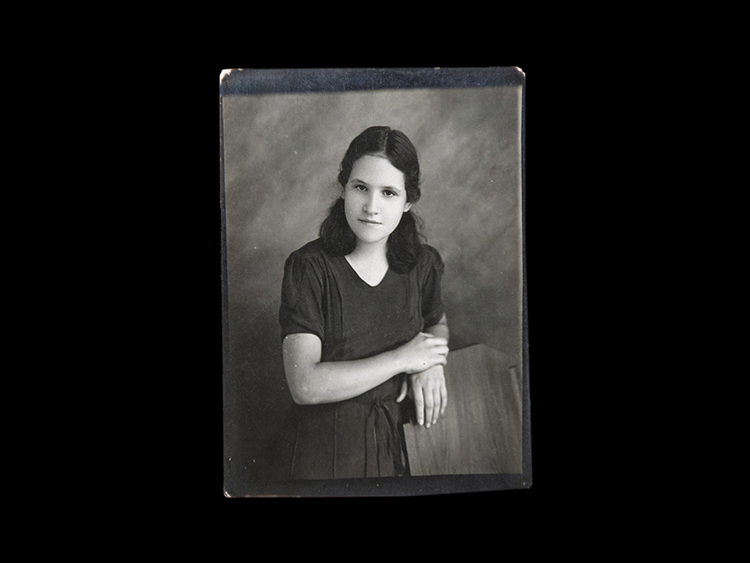 Research for this article encountered a second, smaller group of 68 images made by Marulanda in the private collection of the Medellín-based photographer Camilo Restrepo. Castaño also this year encountered a single Marulanda image in a recycling transfer center that is roughly double the size and with a more elaborate studio staging than any of the other images. 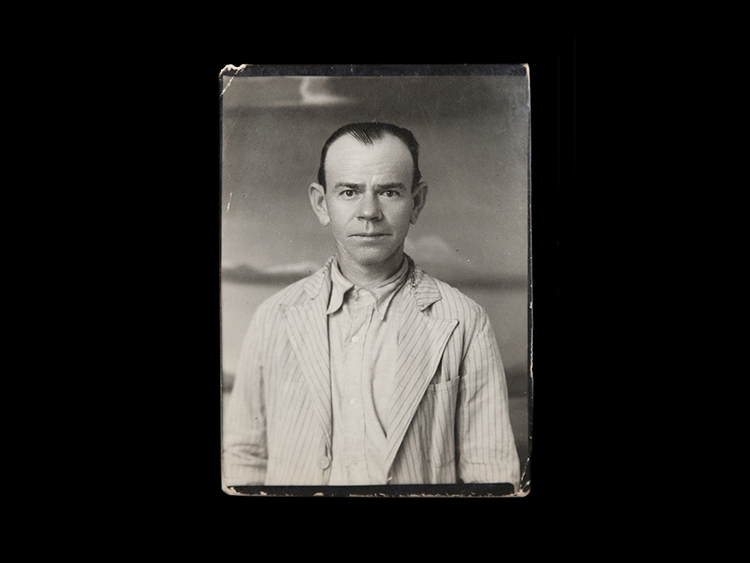 They remain the only other images known, but give the hope that more will eventually be recovered and more of the scope of his practice understood. 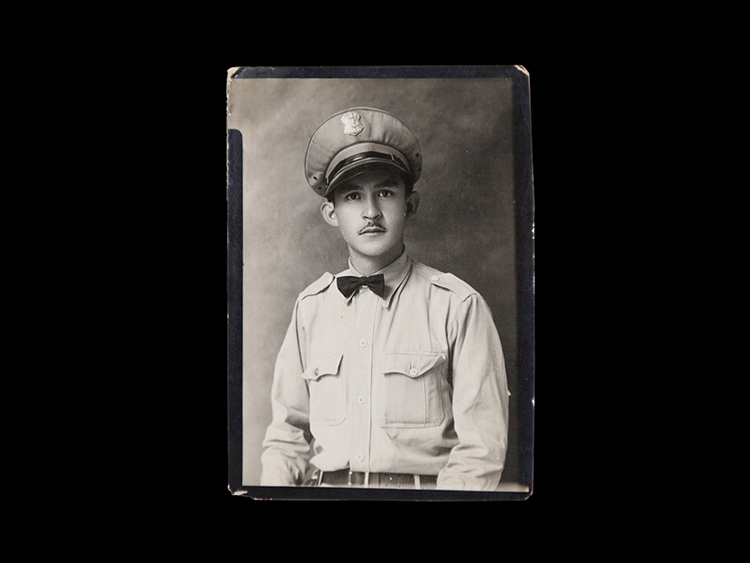 While all of the photographs are stamped on the back with Marulanda's studio seal, the seal changed over the years. 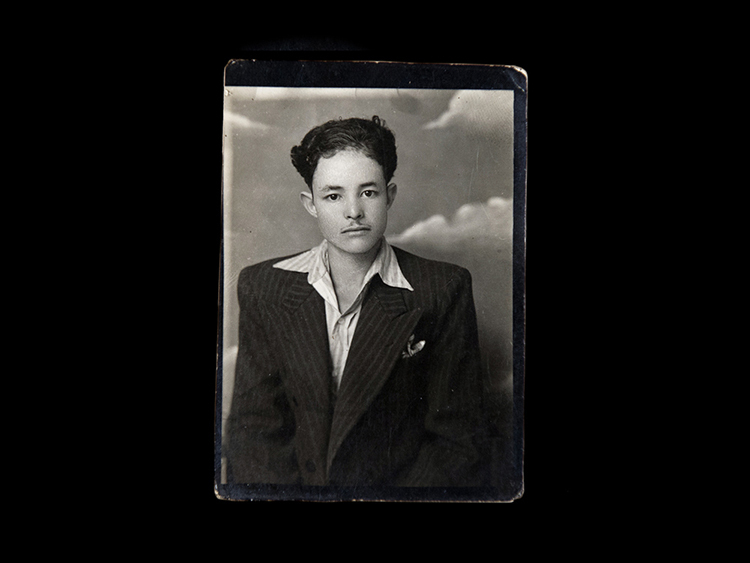 Later images are simply stamped "JOSE MARULANDA," while the earliest photographs read "El fotógrafo / JOSE MARULANDA / Retratos Perfectos" or "The photographer / JOSE MARULANDA / Perfect Portraits." To the contrary, the portraits aren't perfect. Some have part of a fingerprint on the developed image. In a few Marulanda missed the focus. 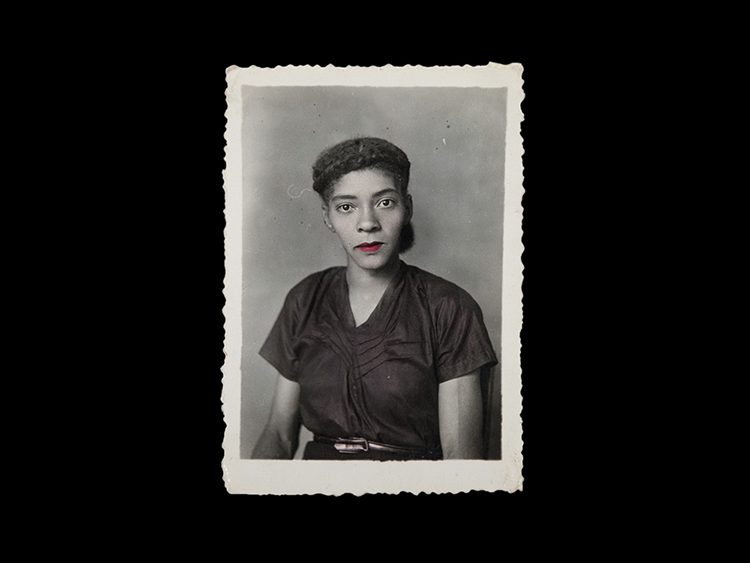 His late portraits of women – all from 1949 – include some odd hand-coloring attempts. It's easy to criticize the repeated gestures as uninspired. 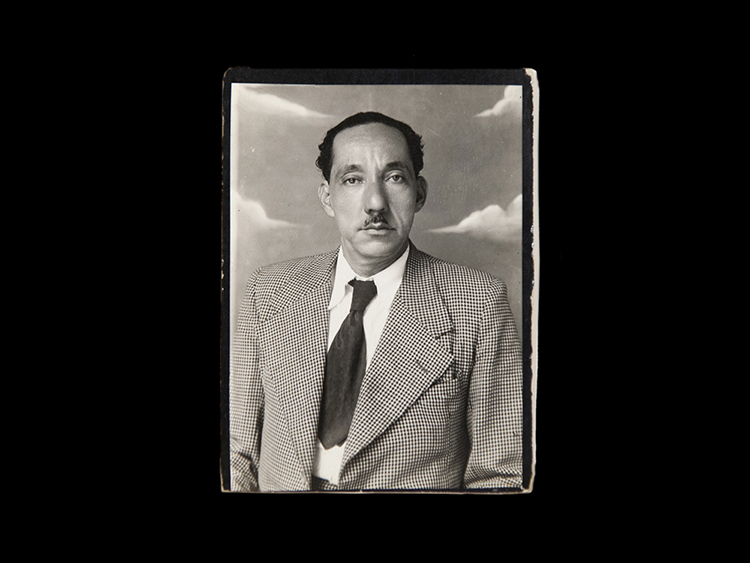 His use of tonality and lighting and his respect for his subjects, along with the state of preservation of the images and the unique window that the photographs give us into the faces, fashions and conventions of the photographic portrait in 1940s Medellín, however, make his best ones come close.